I keep every Anarchist’s Tool Chest photograph that readers have sent me through the years. I’ve seen my tool chest designs painted with flowers. I’ve seen it painted electric purple. With a Kleenex dispenser in the front wall. But that didn’t prepare me for the tool chest of Marco Terenzi. The story begins one morning at a hotel breakfast in England. I’m teaching a class of 18 students how to build the Anarchist’s Tool Chest for the New English Workshop. Derek Jones and Paul Mayon, who run N.E.W., are eating their eggs and toast and chatting away when I sit down for coffee. It’s a scene we’ve repeated several times that week, but today something is different. Behind Derek’s chair is an odd-shaped Pelican case, which doesn’t enter the conversation. We finish breakfast and prepare to head to Warwickshire College, which is where the tool chest class is being held. But then Derek and Paul take a detour into the hotel’s sitting room. They put the Pelican case down on the coffee table and Derek starts telling a story about a guy in Detroit who spent 400 hours making the thing that is in the Pelican case. Then they let me open it. 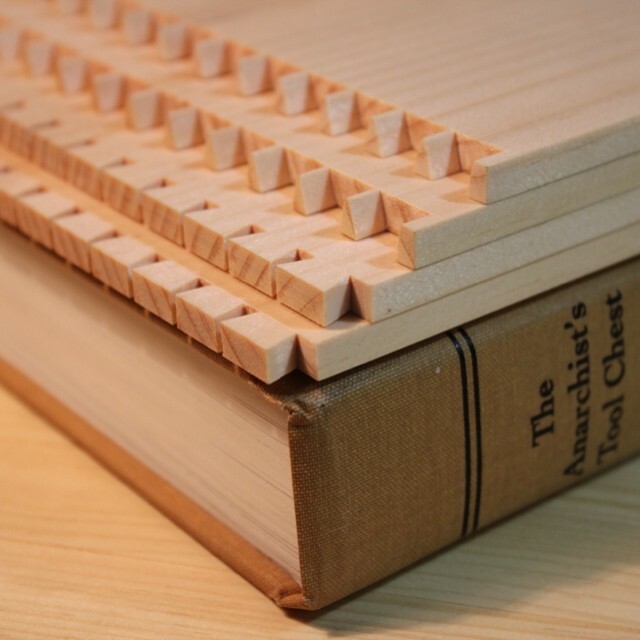 It’s a perfect (and I don’t use that word often) quarter-scale version of The Anarchist’s Tool Chest. It is built exactly like mine. 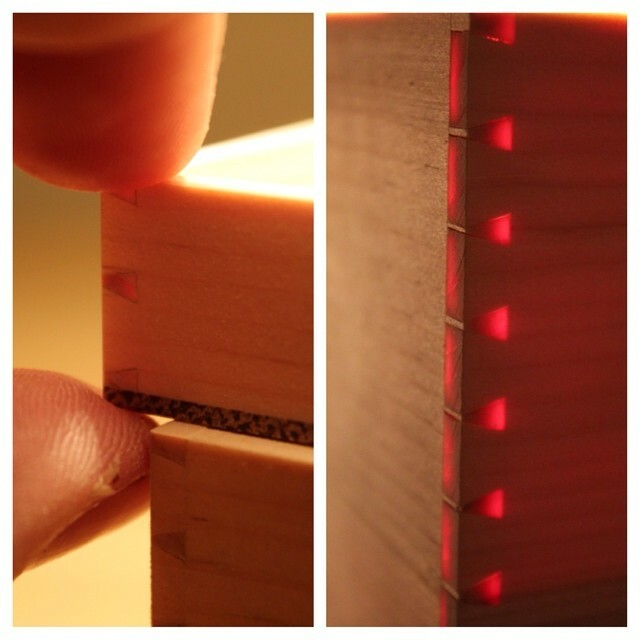 The same material, the same number and slope of dovetails, the same hinges with the same clocked screws. But it is the size of a small toaster. 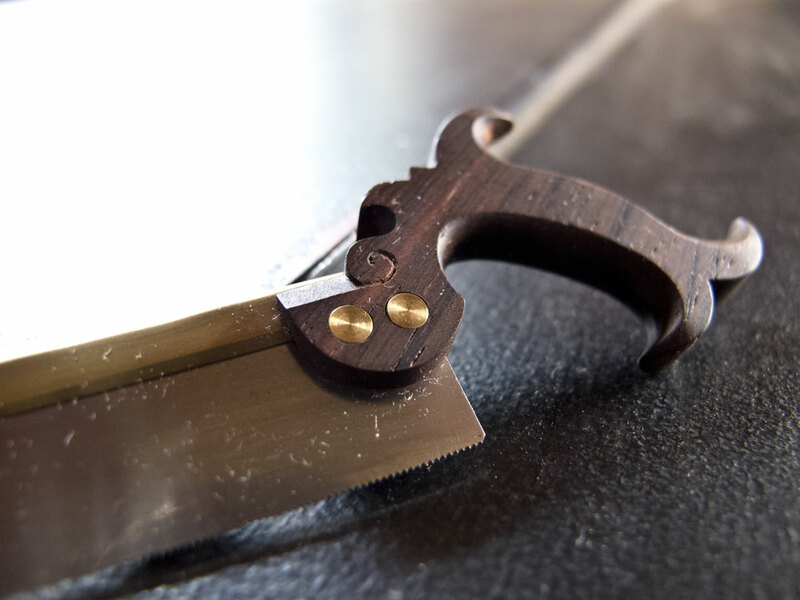 All of it was made by Marco Terenzi, a 24-year-old artist and woodworker from outside Detroit. It seems like I spent a good 10 speechless minutes looking at the thing. Moving the three perfect trays, eyeballing the hardware, marveling at the perfection of it all. And then they dropped the real bomb. Marco was coming to England that weekend and would be taking a class on building a Dutch tool chest the following week. 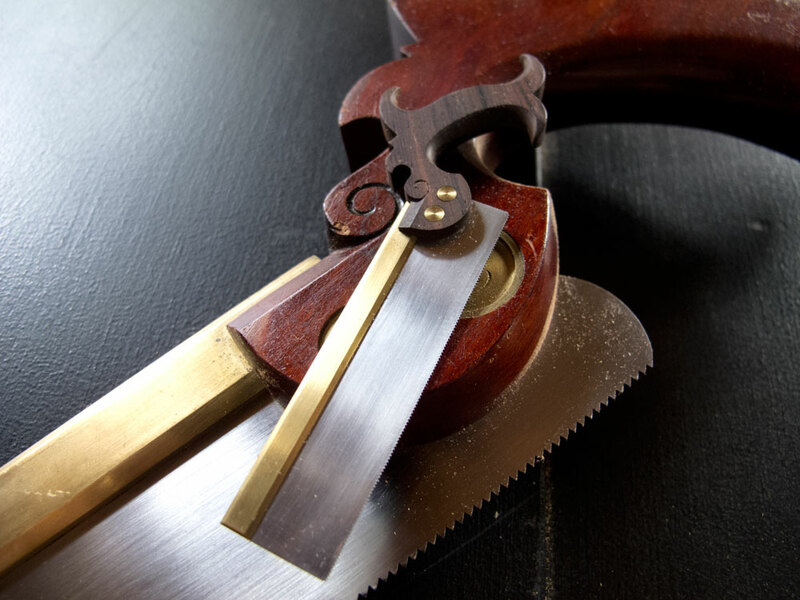 Now, before I carry this story any further, I urge you to check out Marco’s Instagram feed, which documents the construction of the tool chest in incredible detail. Also check out his web site. Yes, that’s a quarter-scale Roubo workbench. Yes, he made those tools to make the chest and the bench. The rest of the story is that Marco and I got to hang out a bit during and after the class and he gave me a quarter-scale version of my Andrew Lunn saw. And it works. Incredible. The photos of the chest are amazing, but if you play your cards right, you will be able to see the chest in person. The New English Workshop boys will be displaying the chest at shows around England in the coming year. And they have promised me that I’ll be able to show it off as well. I am hoping to get it here for Handworks in Amana, Iowa, in 2015. And I think I have Marco talked into coming to Amana, too. So stay tuned. This story has just begun. Marco is starting to make all the tools that go in the chest – including casting the metal planes. 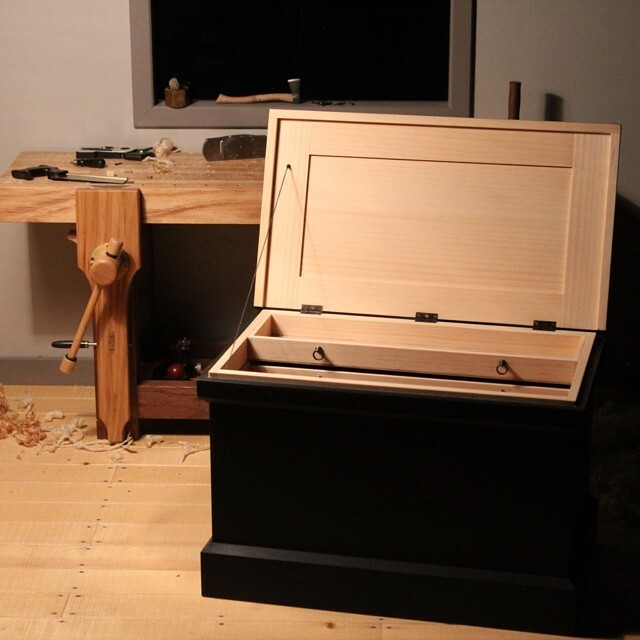 This entry was posted in Personal Favorites, The Anarchist's Tool Chest, Woodworking Classes. Bookmark the permalink. Now that actually makes me want to go to Amana. Love his work. Whoa! That is an amazing piece. All the more reason for everyone to come to Amana! Wow. Can’t wait to see it. Love to have his eyesight and dexterity! Oh yeah his PATIENCE! LOL! This is great. Can he do a miniature of the history of wood? Would be worth the trip to Iowa. I would imagine the people complaining about the current font will then complain it is too small. Ask him to bring the mini bench and all the mini tools that are sitting on the benchtop, the shelf and the window. Very cool. Are you nuts? That bench has to weigh like SIX POUNDS! I was fortunate enough to spend about two hours in the pub talking to Marco and looking at his photos. An amazing guy, amazing workshop, amazing work. My hat’s off to him. He puts the natt’s nasty to shame.. I hope he can make it to Amana as well. I am sure you spelled his name wrong though, it is Macro not Marco. I imagine he is a small person, about 1/4 scale. Hey Chris, maybe when Don’s Studley book comes out you can give Marco a complimentary copy. I’d love to see what he does with that. Amazing. Amana keeps getting bigger and bigger. Anarchy in 1/4 scale. Amazing work, and out of Detroit!